Beawar is far-famed for its long list of religious sites that attract thousands of visitors all over the state throughout the year. Some of the famous temples, churches and other religious sites of Beawer include Sankat Mochan Hanumaan Temple, Shoolbread Memorial C. N. I. Church, Ajmer Road Dadi Dham, Aashapura Mata ka Mandir, Shri SumatiNath Jain Temple and a many other sites. The city is well equipped with hotel options to serve the needs and demands of the visitors. 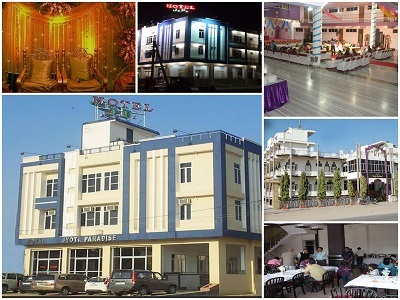 Find below the list of popular hotels in Beawar along with their location and contact details.